It certainly appears that the Church of today has entered into a crisis of biblical proportion with respect to certain of its clerics and the fact that so many instances of clerical sexual abuse of our young children and young men are taking place around the world, the most notable right now being in the USA, UK, Ireland, Australia, India, et al. We sheep admittedly feel helpless and threatened by what is happening in the Church. But we must remember that we belong to Our Heavenly Shepherd who will not forsake us nor abandon us even though the Gates of Hell appear to be coming upon us. On the contrary, the current failures in Church governance and it inner corruption among the clergy should be seen as indicators that The Lord will bring judgement, justice and mercy to this situation, in a spiritual and mystical way that we cannot begin to comprehend. We must remember that He “is the repairer of the breach”, we just don’t know what His response will be. “Return, O faithless sons,” declares the LORD; “For I am a master to you, and I will take you one from a city and two from a family, and I will bring you to Zion.Then I will give you shepherds after My own heart, who will feed you on knowledge and understanding” (Jer 3:14-15). 1Cor. 6:9-11: Don’t you know that people who do wrong will not receive God’s kingdom? Don’t be fooled. Those who commit sexual sins will not receive the kingdom. Neither will those who worship statues of gods or commit adultery. Neither will men who sleep with other men. Neither will thieves or those who always want more and more. Neither will those who are often drunk or tell lies or cheat. People who live like that will not receive God’s kingdom. Some of you used to do those things. But your sins were washed away. You were made holy. You were made right with God. All of this was done in the name of the Lord Jesus Christ. It was also done by the Spirit of our God. “Beware of false prophets, who come to you in sheep’s [or Shepherd’s] clothing but inwardly are ravenous wolves. You will know them by their fruits. Are grapes gathered from thorns, or figs from thistles? So, every sound tree bears good fruit, but the bad tree bears evil fruit. A sound tree cannot bear evil fruit, nor can a bad tree bear good fruit. Every tree that does not bear good fruit is cut down and thrown into the fire. Thus you will know them by their fruits. 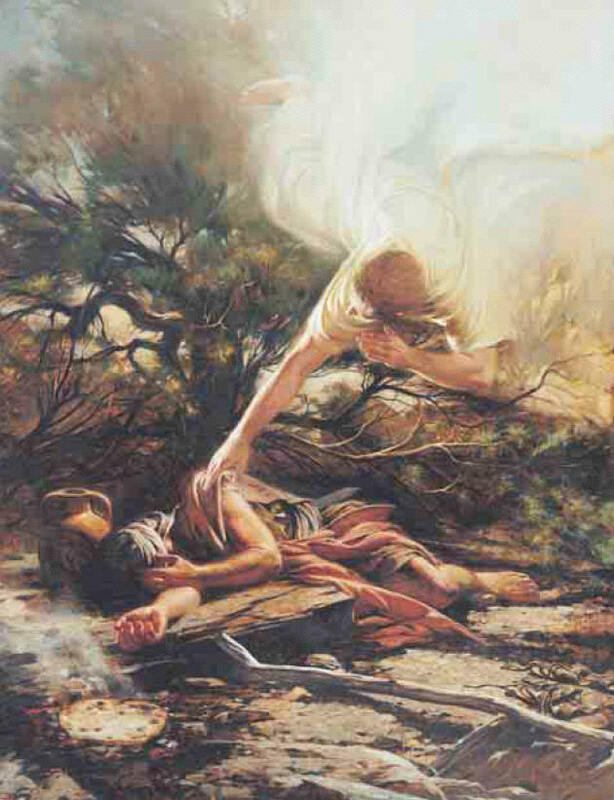 I urge you then, Brothers and Sisters, to enter into a period of intercessory prayer for the Church and especially for our Shepherds, that those who have erred may come into a deep Spirit of Contrition and Repentance so that, by God’s Grace, we may enter an epoch of restoration and reconciliation and especially that a Spirit of healing and consolation may come upon the victims of the abuses that have occurred. Praised be His Holy Name! Baruch HaShem Adonai! Also, in praying, I urge you take into account the Lord’s encouragement to His Church ..
“I will make you … a fortified bronze wall; and they shall fight against you, but they shall not prevail against you; for I am with you to save you and to deliver you, says the Lord. I will deliver you out of the hand of the wicked, and I will redeem you out of the hand of the violent” (Jer. 15:20-21). “Then Elijah said to all the people, “Come closer to me”; and all the people came closer to him. 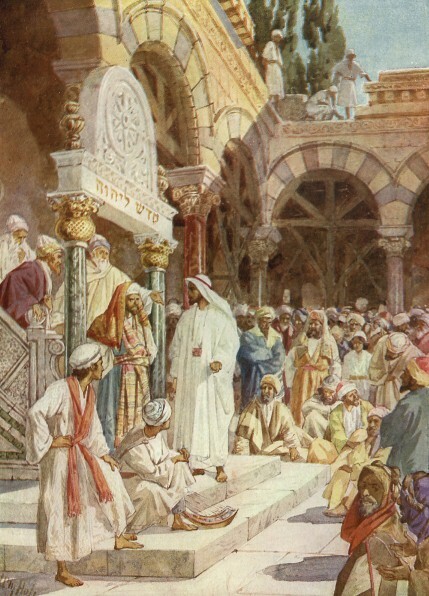 First he repaired the altar of the LORD that had been thrown down; Elijah took twelve stones, according to the number of the tribes of the sons of Jacob, to whom the word of the LORD came, saying, “Israel shall be your name”; with the stones he built an altar in the name of the LORD. Then he made a trench around the altar, large enough to contain two measures of seed. 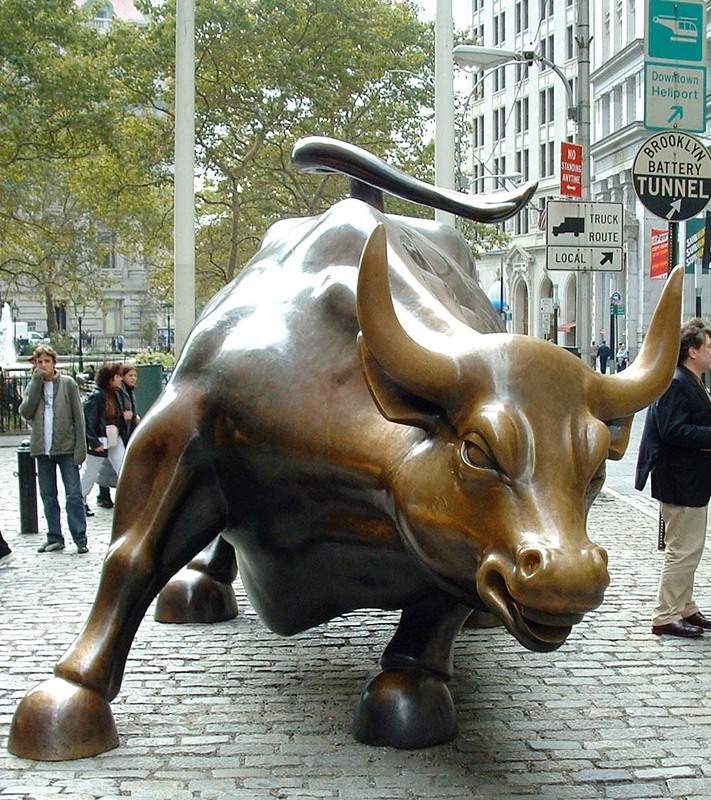 Next he put the wood in order, cut the bull in pieces, and laid it on the wood. He said, “Fill four jars with water and pour it on the burnt offering and on the wood.” Then he said, “Do it a second time”; and they did it a second time. Again he said, “Do it a third time”; and they did it a third time, so that the water ran all around the altar, and filled the trench also with water. After his confrontation with the priests of Baal (1 kings 18: 17-40), Elijah, the prophet, fled into the wilderness to avoid the wrath of Queen Jezebel who was in the process of executing all the prophets of Israel she could find (cf., Kings 19). It is interesting to note Elijah’s very human response to the queen’s threats after he had experienced the power and Glory of God overcome the priests of Baal and thus overwhelmingly show the people that there is only one true God, the God of Abraham, Isaac, and Jacob. His reaction shows that Elijah did not let the anointing the Lord had placed on him go to his head. He knew that he was only a channel and instrument through which the Lord was working and that all of the power manifested during his ministry originated with the Divine and he had nothing to do with it other than being His willing servant. He knew that he was a weak human being in need of God’s protection and blessing. So he cried to the Lord for help. As the Lord led him to refuge at various locations Elijah kept complaining to the Lord saying, that he was the last of the prophets who was faithful to the God of Israel, until finally the lord rebuked him telling him that He had seven thousand more who “had not bowed the knee to Baal” (1Kings19:14-18), “Seven Thousand”, hidden ones, who, by implication were His reserve force against the forces of darkness. These, then, were the “hidden ones” of that epoch. They were hidden because they were under the protective cover of the Lord to be used by Him for His purposes in dealing with Israel. These former “hidden ones” were “hidden” not only in the sense that they were under the covering of His wings (cf., Ps.91: 4) but also in the sense that they had no rank or status within Israel or the world of that day and thus were indistinguishable from the common people, the poor, the despised, the lay people of that time, sometimes referred to as the “Anawim”. Yet, it is these simple ones that the Lord holds up to Elijah as his reserve force against the power of evil in the pagan culture into which Israel was being drawn; the term “Seven Thousand” being merely a cultural metaphor for a significant number. The implication is that these “hidden ones” were the righteous praying ones whose prayers for the restoration of Israel was the reason the Lord was acting through Elijah to bring about the changes needed in the heart of the people so that Israel could once again be considered as “the people of God”. 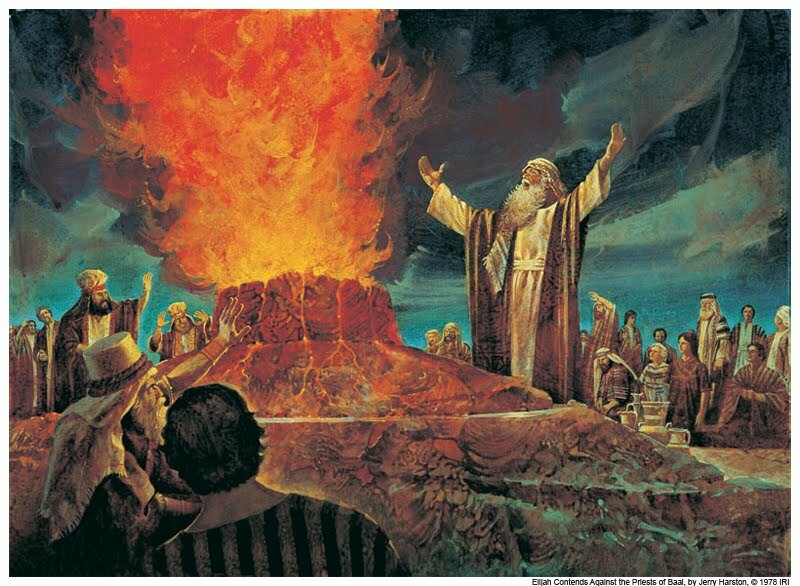 Today, it appears, is no different from the times of Elijah. For we indeed live in a world that worships other “gods” – gods of their own making: money , sexual immorality, lust, power, ambition, greed, narcissism and so on – gods which pervade even our Christian communities and thus prevent the faithful from achieving the personal holiness and service to which they were called. Today, we also have our “Elijahs”, God’s ministers and prophets who are being persecuted for their stand against the evil world culture through the proclamation of Word of God and His Kingdom! These Elijahs are also being sustained in prayer by God’s elect intercessors, today’s “Seven Thousand”. These intercessors are also “hidden” in the sense that they attempt, as they ought, to keep in the background of our religious culture. Their relative anonymity provides them the degree of freedom needed to focus and practice the “charism of intercession” under the guidance of the Holy Spirit and apart from any influence that would quench the fire of the Holy Spirit that is working through them. Because they operate “under the radar”, so to speak, these servants of the Lamb may not have come to your attention. You will find them in almost every Christian denomination eschewing any publicity, because their calling, their Charism, depends on their separation from the world and from the religious politics and worldly influences that surround them. Their great desire is to yield themselves totally to the Spirit of God so that He and He alone rules in their hearts, so that their prayers become the supplications of the Spirit of God for His people. Each intercessor must be free to express what the Spirit places in his or her heart and thus the modes of prayer will vary form intercessor to intercessor. 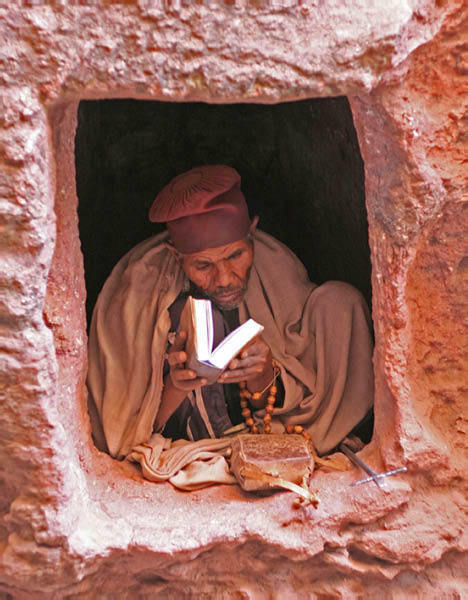 There will be some who pray and sing in tongues, some who fast and pray continually, some who praise and worship in Song, some who use the prayer of authority to bind the demonic spirits that they are challenging, some who specialize in silent contemplative prayer reaching deep into the Heart of the Divine. Most mainstream Christians would probably not understand the various and distinct modes of prayer and spiritual gifts which come into play when the Spirit of God is given full liberty to express Himself through these intercessors. Such servants of God would not normally fit in to our over-structured and regimented religious culture where human tradition and formality rule the with regard to the accepted modes of prayer, where there is no liberty to express the true gifts of the Spirit, or to speak the oracles of the Lord as He gives them to us. So it is natural that they would want to congregate in their own small groups, while yet being dedicated to praying for the whole body of Christ. Today, brothers and sisters, the Lord is calling out for us to pray and support these “hidden ones”, these intercessors of the Lamb. For because they are in fact our front-line prayer warriors against whom the Evil one is waging war against to “take them out”, so to speak, so that he and his evil spiritual companions may continue to disable the church from performing its commission. These “hidden ones” are sent to war against the Satanic powers and thus bring about the Victory of Kingdom of God into manifestation through the power of the charism of the deep prayer of intercession. The reason the charism of intercession is such a threat to Satan is because it is not merely a human form of supplication but it is, in fact, Christ’s prayer of intercession through His elect servants who yield themselves to His Spirit. For you see, the charism of intercession is the Lord’s charism, for He and He alone, is the one mediator between God and Man (1Tim.2:5). Those who yield themselves to this charism are yielding themselves totally to the Intercessory Spirit of Christ in them so that through that spiritual union they may become His instruments of intercession for His people. In the Catholic tradition, this type of prayer is not usually well understood because it does not usually follow the traditional forms of prayer but rather depends heavily on the unfettered work of the Holy Spirit through spiritual gifts and contemplative levels of prayer required to enter into spiritual union with the heart of Christ. It is for this reason that most of these type of intercessors usually do their praying inside of convent or monastery walls. Recently, however, some intercessor communities are coming “out of the closet”, so to speak, but, in certain occasions, are not being welcomed into the mainstream Christian community as they ought. That is why I am asking you, my fellow pilgrims to enter into intercession for them. In order to focus your prayers for the moment, I am asking that you lift up a specific group of brothers and sisters who have been “crucified with Christ”. Namely, the community of intercessors once called the “Intercessors of the Lamb”, but now, due to suppression by their Diocese , humbly call themselves the “Bellwether Lambs” or the “Companions of the Lamb”. I have placed the links to this organization in my sidebar under the Label: “NEED PRAYER?”, so that you may frequent their prayer site when you also are I need. Please ask for the Holy Spirit’s guidance as you enter into prayer for them. Ask to be joined in the spirit with them in unity with the Divine so that you may fully comprehend in the Spirit, the Father’s Love and desire for this group and their leader and foundress, M. Nadine Brown. May the Lord empower you prayers and may He bring them to the place where He wants them for His Glory! Amen and Amen! Your Brother In Christ Jesus … Bartimaeus. “Clergy Leaders Confront Preacher of Radical Lay Movement on Steps of Local Worship Center”. Although the tension that existed between the then “Clergy” and the “Lay Movement” initiated by a carpenter from Nazareth over two thousand years ago still exists today, it would probably not be manifested in such a public fashion today. In fact, this tension, created by a tendency amongst the professional religionists to essentially challenge any lay spiritual movement that attempts, to step into their presumed spiritual “domain”, is usually quietly handled by denials of permission, made in the “back-rooms” of the dioceses or parishes so as to avoid any publicity or visibility into the motives or justification for their decisions. In the case of the Catholic Charismatic Renewal, the Holy Spirit, in His wisdom, got around this kind of clerical opposition by first moving in a Catholic University amongst lay professors and students, where, thanks be to God, once it got going it was impossible to stop. The manifest movement of God was so strong that even the Pope and the Vatican were forced to admit it was a genuine work of the Spirit and encouraged the movement as a “New Pentecost”. Yet, when one of my friends was touched by the Holy Spirit to begin a parish prayer group in a former parish, he had to begin with home meetings because the diocese and the parish would not approve it until we underwent a TSA screening process (TSA, for Theological Security Assessment). This “clericalist” mind-set which pervades our religious culture is one of the primary sources of the suppression or quenching of the working of the Holy Spirit within parishes and congregations, and needs to be discussed by all Christians, both lay and clergy. Not for judgmental purposes but out of fraternal Love to understand those things in our human nature which rise up to oppose and quench the work of the Holy Spirit in our communities. By understanding our weaknesses as both lay persons and clergy then we can pray for the Holy Spirit’s guidance, that through his word and prayer, we may receive guidance as to how to proceed in exercising the spiritual gifts within the community out of love and respect for one another and the specific roles and gifts that have been given each of us. I believe if such discussions occur in a spirit of Agape Love, then we can truly began to behave in the unity of the “Body of Christ” where we all can see the place we each have in the community and are free to share the gifts we have been given with each other for the strengthening of the Body, without, envy or strife. I also believe that if our leaders open themselves to the Holy Spirit they will receive the appropriate spiritual gifts of leadership such as spiritual discernment, administration, knowledge and wisdom that will permit them to coordinate the manifestation of the gifts within the community in an orderly an purposeful fashion for the edification of the Church of God and for His Greater Glory!!. Amen and Amen!! In order to further inform you regarding “clericalism” and its effects on the Christian community, I provide you the following additional links that provide a more educated and varied view from my own. The first two sources are articles by Roman Catholic priests whereas the Third presents an opinion from a priest from the Eastern Orthodox persuasion. The latter article, which I find extremely interesting, is also presented verbatim immediately following the links. 2. The Christian Laity, by Fr. Jordan Aumann, O.P. 3. The Orthodox Layman’s Position in Christ, by Rev. Archimandrite Fr. Eusebius A. Stephanou, Th.D. Rev. Archimandrite Fr. 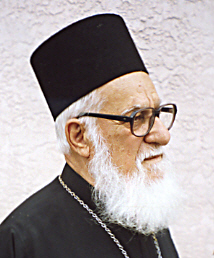 Eusebius A. Stephanou, Th.D. Clericalism can be lethal in our Orthodox Church. One evil it produces is the fact that the lay people in the Church become spiritually passive, indeed religiously helpless. Clericalism foments an inordinate dependence on the priest. The extent of any religious activity among lay men and women usually is singing in the choir or teaching children in Sunday School. Lay participation in parish life ordinarily is connected with serving on the Parish Council, the Philoptochos Society and with fund-raising activities. In these areas of church life all parishioners are usually encouraged by the priest to show enthusiasm and initiative. You are considered an “active member” of the church when you get involved in such familiar structured activities. They pretty much determine the landscape of parish life. The more one engages in these areas the more likely he or she will be singled out for special recognition and honor. The moment, however, a church member begins to show out of the ordinary spiritual interests, indeed spiritual zeal, too often the priest (there are, of course exceptions) will feel uncomfortable. If a parishioner goes as far as appearing to be fired up for Christ, for Bible study, and generally for the things of God, the priest can possibly view that as something unsettling. At one time I was one of those kind of priests. I have to confess in all honesty that in my younger years in the priesthood I would avoid anyone who would come up to me holding a big Bible in their hands. I felt I was about to be confronted by something from the Bible of which I was ignorant. To be candid, I have to say I felt inadequate and embarrassed. It was a threat to my pride. I had to admit to myself how limited the knowledge of scripture is with many priests despite their seminary training. In view of these facts, it becomes very clear why viable and lasting spiritual renewal in the Orthodox Church has to begin at the grassroots level. The charismatic renewal in the Roman Catholic Church is the best example I can think of in this regard. Laymen not only initiated the renewal, but provided the leadership and teaching ministry for those in the renewal. It was primarily laymen who authored the books and manuals that became standard for all renewal groups in the Roman Church. As a matter of fact, priests who got involved in renewal often sat at the feet of lay teachers to be discipled in the principles and guidelines of renewal. That is truly a mild reaction in contrast to many of our priests who view lay initiated home Bible study meetings and any such renewal activities as subversive of authentic Orthodoxy. Such priestly opposition has sadly caused many Christ-loving, Godly church members to leave the Orthodox Church for Pentecostal or Evangelical churches. The result has been to reinforce dead religious formalism in the Church. How can such professional priests be called shepherds of souls? They serve the kingdom of darkness by quenching the fire of the Holy Spirit. Christ calls such religious leaders “workers of iniquity”. 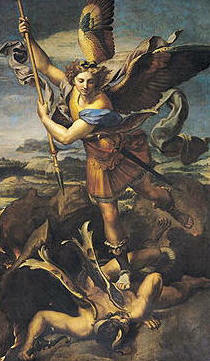 They lack the capacity of rejoicing with the angels when lives are regenerated and the name of Jesus is highly exalted. They feel threatened by anything religiously unfamiliar. Wherever we find religious functionaries in the Church, they reinforce and foment the evil of clericalism. But our Lord Jesus Christ warned us that they are to be found in every generation of believers: “Beware of the leaven of the scribes and Pharisees.” (Matthew 16:6). Such promoters of clericalism and of our over-institutionalized Church are the first to champion the Church Fathers. Yet, in effect they violate their teachings and fail to embody in their pastoral ministry the basic principles and precepts of our Holy Fathers. In the teachings of the Church Fathers we find an unmistakable emphasis on faith rooted in a heart experience. They do not teach an intellectual theology. Christ as the object of faith is experienced with the personal indwelling of the Holy Spirit in the believer’s heart. The fact of personal communion with Christ is fundamental. Every member of the church, be he a layman or ordained clergyman, by obedience to God’s word becomes a recipient of the charismata (gifts) of the Holy Spirit. It follows a face to face, life-changing meeting with our divine Spouse. This personal experience of rebirth enables any believer, lay or ordained, to minister in the supernatural power of the Holy Spirit. St. Symeon the New Theologian, for example, states the following in this regard: “They who do not have the Spirit operating and speaking within them are unbelievers. If Christ says that He gives the Spirit to those who believe in Him, then they who do not have the Spirit are not heart believers” (Moral Chapters X). The lack of formal seminary training should never keep a layperson from claiming a life-changing experience of Christ and of personal rebirth. The right to minister in the body of Christ does not come with seminary training. St. Symeon, third in the line of theologians after St. John the Evangelist and St. Gregory of Nazianzus, never saw the inside of a seminary. Like other Church Fathers, St. Symeon did not have theological credentials from a theological seminary. Instead, following the example of the holy apostles, St. Symeon the New Theologian, like other Church Fathers before him, finished the theological school of the Holy Spirit. There is no better professor of theology than the Holy Spirit. But today church officials very often give the impression they don’t trust the Holy Spirit. Every man and woman who with faith is baptized in water and in the Spirit is qualified to be an active witness unto Christ. It is not Ordination that qualifies you to be active in ministry. But each believer who is not ordained is entitled, for example, to minister as an evangelist, prophet or teacher in the body of Christ. It is for performing the sacraments that ordination is necessary. But to minister the Word of God is not only the right of any believer, but also a mandate of Christ for every believer. Most priests and hierarchy will affirm that Christ is the head of the church, as theological theory, but in the same breath they will glibly refer to archbishop so and so or patriarch so and so as “the head of our Church.” After all, we want a head of the Church who is tangible and visible, and, moreover, the laity feel better and more reassured that their head and leader is someone they can see, hear and hold his hand to kiss it.. Religious ambiguity is rampant today in the Church. To be more specific, I areferring to ambiguity in connection with our relationship with the Lord. Rarely, if ever, does the average church member have any living testimony of a personal relationship with Christ – one that he delights in sharing with others in the church. Such ambiguity and uncertainty usually leads to an erroneous assessment of one’s standing with God. It can end in self-deception and self-righteousness. What makes things still worse is that reverence and piety are viewed as a sign of a right relationship with God. It is merely a trap that Satan sets for both priest and people to reinforce contentment with religious formalism and religious routine. What threatens Satan is not religion, but a personal life-changing experience of Christ. What banishes Satan is to receive in faith and obedience the gift of rebirth, that is, to be “born of God.” By His atoning death upon the Cross, the Son of God calls upon “the children of wrath” to become children of God and new creatures by accepting Him as personal Savior, that is, as the “…Lamb slain from the foundation of the world.” (Revelation 13:8). In my experience of forty years of renewal ministry, I have found that spiritual zeal which becomes visible to everyone in the parish, as a rule, is frowned upon by the priest (with rare exceptions). It seems that it has been my calling from God to restrain church members, who are fired up for Christ and His gospel, from leaving the Orthodox for greener pastures in other churches. When someone’s religious enthusiasm and exuberance for Christ unsettles other parishioners who get confused religiously and they lodge their discomfort and even displeasure with their priest. He in turn will do his utmost to secure “calm” and “harmony” in the parish. He seeks out the one who is rocking the boat in his otherwise quiet parish. He becomes a fire extinguisher and thinks he is rendering God a service by throwing a damper on the fires that are inflaming the hearts and lives of certain parishioners for Christ and His gospel. Few priests, if any, have any taste for religious controversy in their parish. A priest can get apprehensive over the possibility it might get to the bishop’s attention. He possibly could suspect the worst – that his job security could be jeopardized. And the very thought of that prospect could be a nightmare for him! Very likely there are a small number of members in every parish that claim to have had a rebirth experience that has made a visible difference on their relationship with the Lord. It is glaring evidence that such people have sensed an inner void that has not been filled by religious routine and even receiving frequently of the Holy Communion. A word of caution to those who had the void in their hearts filled: Please do not expect everyone in your church to understand your rebirth experience and to celebrate with you. Be realistic. Ordinarily, other members get troubled with religious confusion. They are apt to get uptight and even convicted by the power of the Holy Spirit. The ego gets engaged in the case of a negative reaction to your new fire for the things of God. It could reach the stage of overt displeasure and even opposition. When a personal testimony of rebirth elicits displeasure, it should not puzzle the one with the new spiritual experience. Such a person should avoid a corresponding negative reaction. It is only normal for those devoid of the Spirit to get unsettled over the presence of the Holy Spirit in someone else’s life. Jesus clearly cautioned that authentic believers will be misunderstood, slandered and even persecuted by those of their own household, members of their family, but even members of the household of faith. I encourage spiritually regenerated believers to take it as a badge of honor when they become a target of criticism. Spiritual conflict, the Lord assured us, is evidence that we are His true disciples, ready to pay the price for going all the way with Christ. Even when the priest turns the heat on them, such “born of God” lay people, must react with a sense of peace, humility and love. Least of all, they must not be startled, if even the priest does not support their newly found relationship with God. I counsel them to stay radiant with Jesus indwelling in them. Remember how the Jewish religious leaders reacted when they saw the apostles radiating with the Holy Spirit aura: “They recognized that they had been with Jesus.” (Acts 4:13). Stay in the church and continue to light a candle wherever there is darkness. Satan will not take sitting down the redeeming impact of the Holy Spirit on the lives of otherwise nominal Christians. He will stir up opposition and controversy. As a matter of fact, if this does not occur, then our witness for Christ proves to be inadequate, weak and less than authentic. The more intense the opposition the more genuine our evidence of rebirth. Jesus made it crystal clear: “Think not that I am come to send peace on earth; I came not to send peace, but a sword. For I am come to set a man at variance against his father, and the daughter against her mother, and the daughter in law against her mother in law; and a man’s foes shall be they of his own household” (Matthew 10:34). Today I wish to discuss with you a topic regarding a facet of discipleship that many of us encounter as we, in obedience to our call to proclaim the Good News of Jesus and His Love. I am speaking of is the response we sometimes elicit from those to whom we are trying to reach, namely, a shunning and rejection of not only of the message we bring but of our person. Now, Jesus has told us to expect resistance and rejection from the “world” but when that response comes from friends and family, and members in our own “Christian” community we are, very often, deeply hurt by this reaction, a hurt that, if we don’t counteract can limit us in being instruments and messengers of God’s Love in the world. The reason these hurts ensuing from rejection and shunning limit us is because our human ego sometimes becomes too attached to the role and message we have been called to. This happens when we take too personal an interest in what we are doing and saying for the Lord and thus, when we, in obedience to what Jesus is calling us to do, are rejected by others we take it personally. This injury, left untreated, is left to molder in us, can become an inner resentment that prevents us from being conformed to the image of Jesus and His Love for which we were created and for which we were sent, thus inhibiting the anointing that He places on our service to others. First of all we must remember that when we are ministering to others in Jesus’ name, we are NOT ministering in our own person. So when rejection occurs in the carrying out of our call, we must detach our own feelings and person from what we do and leave the work that God wants to do in that person to the Holy Spirit. Leave everything at the foot of the Cross, knowing that you have been faithful to what has been asked of you. As it says in psalm 37(v.5), “Commit your way to the Lord, trust also in Him, and He will accomplish His will through your service”. Secondly, if, in spite of your best intentions, you happen to fall in such a situation, merely repent of your attachment, forgive those who hurt you, confess it to the Lord, and “He will bring forth your righteousness as the light and your judgement as the noonday” (Ps. 37:6). Pray that the Lord will redeem your error and bring about His will through your faithful efforts. Remember what Jesus told us, “If they reject you they are really rejecting me”. So then don’t get in the way and let Jesus handle the situation. This lesson that I am passing on to you I have learned at the cost of my own mistakes and through the saving insight provided me through Holy Spirit, the inspiration of the Word of God, and the teachings of St. Francis de Sales. Francis had to learn this lesson himself as he endured the rejection of those whom he was trying to reach with the Gospel of Love. © B.R.Timeo and Bartimaeus’ Quiet Place, [2008-2009].